Lighthouse Quantum q-Series Direct View LEDs Debut During InfoComm 2018 | KMB Communications, Inc.
Costa Mesa, CA (May 2018) – Lighthouse Technologies Limited, a leading global brand in direct view LED video display solutions with a 20-year history in the USA, will debut its new Quantum q-Series fine pitch direct-view LED indoor display solutions for the North American commercial AV market during InfoComm 2018, being held in Las Vegas, Nevada June 6-9. Quantum q-Series displays feature the latest in HDR technology—Lighthouse’s proprietary Peak Luminance Enhancement (PLE)—which delivers higher contrast ratios and provides a wider color space for richer colors and more natural images. Quantum q-Series LEDs also include Lighthouse’s state-of-the-art Chromatic Modulation Technology (CMT) to prolong LED life and virtually eliminate problems frequently associated with other display solutions. 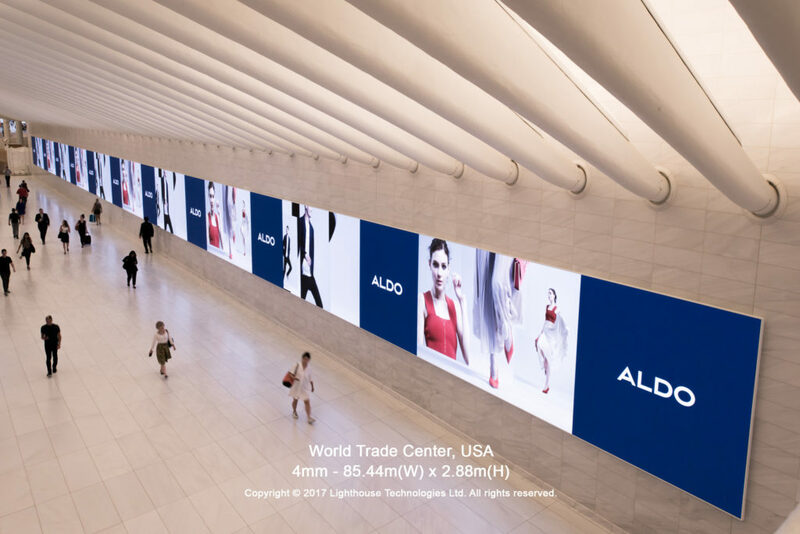 Lighthouse’s Quantum q-Series fine pitch LED indoor display solutions—available in 1.5mm, 1.8mm or 2.5mm pixel pitch—are designed to support high pixel density indoor applications. But the true differentiation of the q-Series is embedded inside the display. Available for the first time in the category, Lighthouse’s proprietary Chromatic Modulation Technology (CMT) features an integrated photosensor mounted inside each panel, continuously measuring the output for each LED module. The CMT nerve center automatically corrects for luminance and uniformity, addressing issues that other technologies ignore as they age or when they are swapped out for repair or maintenance. Lighthouse Quantum q-Series LEDs panels eliminate these problems. The new q-Series also introduces Peak Luminance Enhancement (PLE) for the latest in HDR technology. PLE enhances peak luminance to deliver higher contrast ratios and provides a wider color space for richer colors and more natural images. The Lighthouse LEAP processor and proprietary processing algorithm convert 8-bit video source materials to 10-bit HDR output, providing a new level of versatility and taking advantage of HDR performance for existing source material. Packed with proprietary technology designed to deliver the richest, most natural images possible, the Lighthouse Quantum q-Series is now available and shipping nationwide. InfoComm 2018 attendees visiting Lighthouse in booth N3354 will witness the difference Quantum delivers and how its proprietary PLE and CMT technology helps create a more powerful viewing experience in indoor settings requiring high pixel density imagery.